NBC announced the obstacle course competition series, "American Ninja Warrior" will return for its eighth season this summer. Matt Iseman and Akbar Gbajabiamila will host the series. The upcoming season will shoot in six cities this season including Los Angeles, Atlanta, Oklahoma City, Baltimore, Seattle/Tacoma and Cincinnati before heading to the National Finals once again in Las Vegas. They're back in Las Vegas and there's three heats on each stage... each heat will have an athlete from USA, Europe and Japan. Stage 1 is worth 1 point, Stage 2 is worth 2 points, Stage 3 is worth 3 points. In the event of a tie, like last year, a competitor from each team will race side by side up Stage 4 to determine the champion. 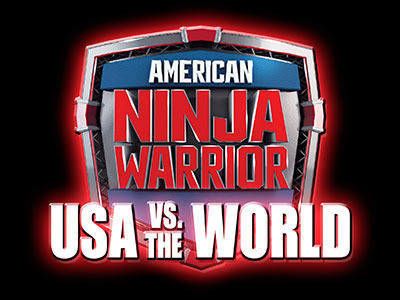 NBC presents it's 3rd Annual high-stake international competition "American Ninja Warrior: USA vs. the World," this Sunday where ninja athletes from all over the world will compete in teams of five. Team USA features "American Ninja Warrior" winner, Isaac Caldiero, and runner-up Geoff Britten, joined by successful veteran ninja competitors Kevin Bull, Drew Drechsel, Ian Dory and Joe Moravsky. For the first time ever, a female competitor (more like ninja prodigy) has completed the entire American Ninja Warrior course and will be going to the finals in Las Vegas this coming September. At just 5 feet tall and 100 pounds, NCAA gymnast mighty Kacy Catanzaro slays all 10 obstacles on the ANW course.